It seems the Filipino Congressman and ‘Fighter of the 2000’s’ is aiming for his own giant payday with a fight against the Dubliner. If this is the case, White may have a few things to say on the matter. While it would not seem likely that a fight between “Pacman” and “The Notorious” would generate anywhere near the buzz or revenue that August’s “Money Fight” with Floyd Mayweather Jr. did, there is still potential to shift a decent number of pay-per-views. While the eight-division world champion is far removed from his prime, he is still a sizeable attraction for many. “If we can negotiate it [a bout with Conor McGregor], I have no problem. It is OK with both of us,” Pacquiao told newswire service AFP, via Yahoo.com. “Initially, but we have not yet had any follow-up conversations,” Pacquiao said. “Happy Thanksgiving! Stay fit my friend,” Pacquiao wrote beneath a photo of McGregor, adding the tags #realboxingmatch #2018. The multi-weight boxing world champion had retired in 2016 only to return against former school teacher Jeff Horn in Australia this year. Horn shocked Pacquiao on his way to a controversial decision victory which further highlighted how far the Filipino legend had fallen from his prime. “You know, I’m competitive,” De La Hoya told Golden Boy Radio with Tattoo and the Crew. “I still have it in me. I’ve been secretly training. I’m faster than ever and stronger than ever. "Who gives a s— with White, he's a piece of s—. He's got a UFC that's cratering and he needs boxing to save himself." “You’ll see, Bob,” White said. “We’ll see at the end. 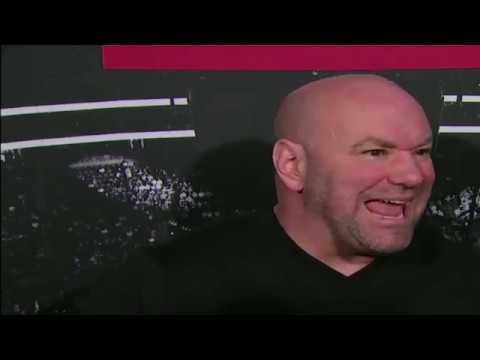 Bob’s the same guy who said the UFC would never work, and the UFC was loosing ‘oodles’ of money, whatever the (expletive) ‘oodles of money’ means. Look at what we’ve done and look at where we are. I mean, come on. At the end of the day, we’ll see who stands where when the smoke clears and the dust settles.